It all starts with the 2015 Honda Civic, which topped all models industry-wide in retail sales during the 2014 calendar year. 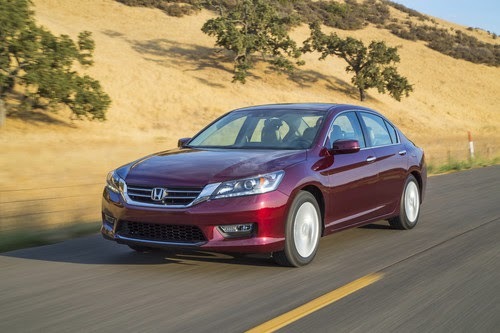 This well-reviewed and much-beloved sedan is an across-the-board success for Honda, and with up-to-date technologies, efficient engines and high reliability scores, it probably isn’t going anywhere for a while. The other Honda vehicles topping their segments include the 2015 Honda Odyssey, 2015 Honda CR-V and 2015 Honda Civic, the latter of which finished a whopping 44,000 units ahead of its closest competition. The CR-V, meanwhile, wasn’t just the best-selling crossover in its segment; it was the best-selling SUV last year, period. Together, the Accord, Civic and CR-V represented three of the four most popular vehicles of the year last year, putting the exclamation point on what was a pretty awesome twelve months of sales here at Pacific Honda. We’re hoping the 2015 calendar year is just as generous, and that all these Honda vehicles stay the prettiest girls at the dance for as long as possible.